Since August 2014 when he was hired as general manager, A.J. 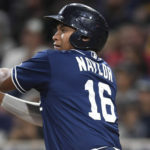 Preller has forged a reputation as a master at identifying young talent in the draft and through other means like the Latin American market. The ultimate judgment on the success of those players at the major league level or in their use as trade bait will take several years. In the meantime, Preller has demonstrated much less acumen in choosing veteran players to add to the roster. 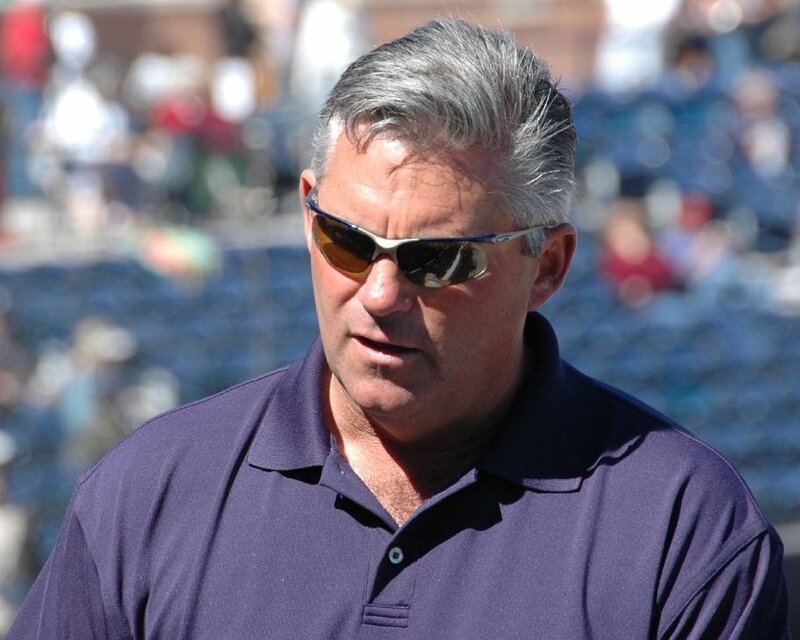 Kevin Towers (the Padres’ GM from 1995-2006) has the inverse reputation. Many of Towers draft picks, especially first round picks, bombed, some spectacularly like Matt Bush in 2004. However, he demonstrated a genius for acquiring veterans especially leading up to the Padres’ 1998 playoff run that ended in a loss to the New York Yankees. After assessing the existing team, Towers then set out choosing a group of players, mainly through trades and free agent signings, that could compete. He brought in pitchers Andy Ashby (3.2 WAR), Trevor Hoffman, (3.1), Sterling Hitchcock (1.5) and Kevin Brown (9.6). As the story goes, when the rest of the team found out about the trade for Brown, they knew the Padres’ front office was serious about winning. Brown went 18-7, Ashby 17-9, Hitchcock 9-7. Hoffman saved 53 games with an ERA of 1.48 in 1998. 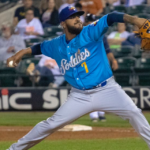 Towers (as GM and previously as Scouting Director) also added infielders Ken Caminiti (129 wRC+, 2.6 WAR), Wally Joyner (121, 2.1), Quilvio Veras (106, 3.0) and Chris Gomez (97, 1.6). Joining Gwynn in the outfield, Steve Finley (89, -0.2) played center and Greg Vaughn left (151, 5.8). Vaughn led the team with 50 home runs and 119 RBI. Every starting fielder on the team had an on-base percentage higher than .300 with Joyner leading the group at .373. Most of the starters on the 2018 roster have an OBP under .300 despite the teams focus on getting on base. The 1998 Padres obviously had the benefit of that intangible asset called chemistry. But the team also had an enforcer in Ken Caminiti. In 1996 he put the uniform of a player who had criticized Bochy in an interview in the manager’s office. When the player couldn’t find his uni, Caminiti advised him to look for it in the managers’ office since he obviously wanted to manage the team. 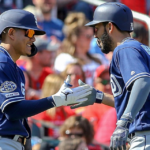 Unfortunately, the Padres had the misfortune of facing one of the best teams in history, the New York Yankees with its 114-48 record in the American League East. Ironically that team was built around players drafted and developed by the Yankees including Derek Jeter, Mariano Rivera, and Andy Pettitte. By every indication, team chemistry has not been a hallmark under Preller. In fact, the front office has added players like Wil Myers, Freddy Galvis, and Eric Hosmer to help provide leadership and chemistry. Additions like Derek Norris, Melvin Upton Jr., and Matt Kemp have been cited as players that actually disrupted the vibe in the dugout and locker room, but thankfully they have moved on. The jury will be out on Prellers’ success in the draft and international market for several years, but every ranking system rates the minor league system highly. Players like Eric Lauer, Joey Lucchesi, Luis Urias have arrived, and others are not far behind. In the meantime, the performance of veterans added under Preller has been mixed at best. Again using wRC+ and WAR, no player has come close to Greg Vaughn. On the current team, Eric Hosmer has a wRC+ of 93, WAR of -0.5; Wil Myers 105, 1.4; Freddy Galvis 76, 0.4. In 2015, Matt Kemp had a wRC+ of 93 and WAR of 1.0; Derek Norris 98, 2.4; Melvin Upton Jr. 110, 1.5; Jon Jay 101, 0.9; Justin Upton 119, 3.4; Clint Barmes 75, 0.2. The following year Norris dropped to 54, -0.4 and shortstop Alexei Ramirez had a miserable 63, -1.5. In 2017, pitcher Jered Weaver had a -1.0 WAR while shortstop Erick Aybar had a wRC+ of 72 and WAR of -0.2. 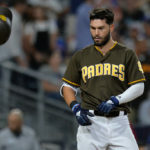 One of the more troubling aspects of Preller’s’ record in trading for or signing veteran talent has been the fact that Myers and Hosmer have the highest contracts of any Padres’ players in the history of the team. 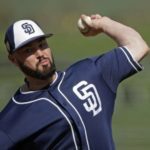 The Padres have a commitment to Hosmer through 2025, and he will make $20 million a year through 2022. Myers will start earning $20 million in 2020. Neither has performed at a level commensurate with their contracts so far. While fans await the arrivals of young players like Fernando Tatis Jr., Mackenzie Gore, and Chris Paddack to show up, the Padres’ front office must find a way to improve the quality of veterans added to the team. *Apologizes for a couple of misleading sentences in this piece. The editorial staff of EVT takes full responsibility for any errors or misleading information that was communicated in this article. We appreciate your support very much. Thank you. I guess whatever is written about people hating on Preller or the Padres, just look at the stats at this moment (or any other). Eric Hosmer is leading the team with a .251 batting average. That’s not directly anyone’s fault but Eric Hosmer, but it does say a lot about understanding coaching and talent acquisition. It’s funny, you can love them or be called a hater but our stats have been awful for years. Team AVG, OPB, ERA, wins, etc….. Contention, huh? Okay……..
It’s funny to read the comments and how people tend to fall on one side or the other: Welcome to modern media. Look folks, her points about Preller are cogent and Preller is truly lacking in quite a few categories. This isn’t fiction or hating, it’s simply what has been the pattern. Let’s try to keep in mind that you can be a diehard fan and be critical, it’s “interesting” that this is not okay. 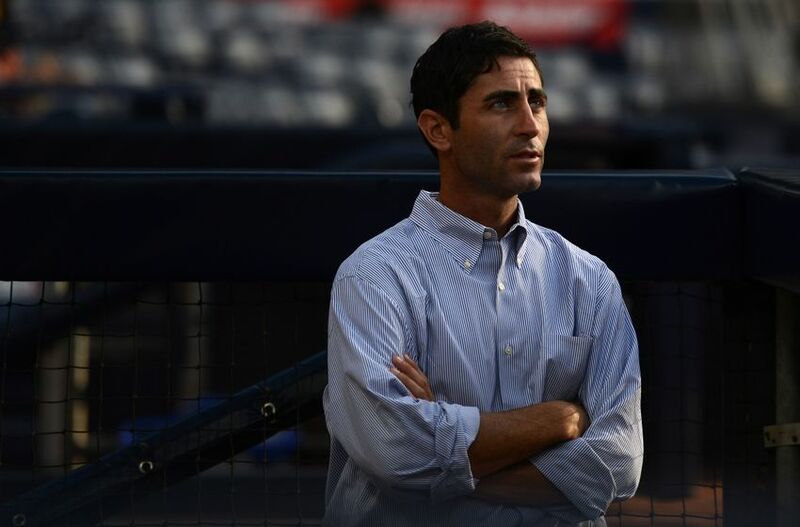 Indeed there is no perfect GM but Preller is missing the mark in assembling effective coaching, leadership, or adding through Free Agency. This is the main point of concern in banking on this amazing farm system- the players still have to come through and develop and then be supported. This article is valuable in the sense that it does help to show that it is foolish to simply assume that the Padres will be the next 90’s Braves, or the more recent Cubs or Astros. Towers did add good veteran talent to a Padres club that needed it badly, as well as timely coaching additions: He was very good at that. Preller still has some things to learn in that category and our team will not get there without some growth from him. At the moment, these things are not improving: and stats and players successfully moving from the minors to MLB is bearing that out very clearly. Let’s keep that in mind folks. Our team is not winning and we so far have not developed or added any player with staying power. Those are the keys and KT knew how to do both quite well. That was the makings of 1996 and 1998. At this point, a contending team is not even on the radar. If you know the game at all, that part is very easy to see. Die hard padres fan since 1982. This is the most excited I have been about our future since we acquired Kevin Brown. Every team has a bad contract or 2 but in today’s baseball 20 mil really isn’t nothing. Especially if the rest of your team will be filled with rookies or 2nd and 3rd year players. Kevin Towers did what he did and it got us to the world series. Thank you Kevin. Preller is doing what he is doing and this could possibly make us the Braves of the 90’s. I remember when Smoltz and Glavine first came up and got rocked regularly. Next year and years after studs. Padres are now built pitching wise to do that. And remember what put the Braves over the top….Signing Greg Maddux. Padres trade for Degrom for renfroe, hedges, Baez, Austin Allen and buddy Reed. And if those starters flop we still have a ton of pitchers ready to take their spot. We are equipped for the long haul. Just sit back and relax because by next year we will start to see the fruit of preller labor. We’re staring at 70 wins next season my friend unless a major haul comes down the line and we get some coaching on offense. Also keep in mind where Quantrill and Gore are developmentally- they won’t be in the majors next season. Keep in mind Luccesi’s health and consistency. Keep in mind, Urias would be in his first major league season, as will Mejia, and there is no guarantee either are on the 25 man roster, they’re rookies. Keep in mind, Myers hasn’t proven he can play or contribute in 150 games. Keep in mind that Hosmer seems to be devolving in every category. Finally, keep in mind, we don’t have Degrom. I’m as excited as anyone else, but we’re playing solely with the idea that the Padres are amazingly possibly good on paper. The game isn’t made of paper, it’s made of ups, downs, and human error. It’s made of leadership and teaching. We have a long way to go. Can you explain what will happen for the SA Missions next year? If they change affiliates and move to AAA, what happens to the players that are “property” of the SD Padres? Who goes with the team to the new affiliate? Where do the Padres property play? What team becomes the new AA Padres team? I’m sorry, but I concentrate on the major league team. However, we have writers who regularly cover the minor league affiliates. They will undoubtedly be addressing this situation. I’ll also pass on your interest in the Missions. The players that are “property” of the Padres will stay as part of the Padres. All personnel that is part of the AA staff and players will stay with the Padres and either move to the new location in Amarillo, TX or elsewhere in the organization. Personnel that belongs to the stadium, stay with the stadium. Ashby, Caminiti, Finley and Hoffman were all acquired while Randy Smith was GM. Perhaps Towers deserved some credit since he was Scouting Director at the time, but the article is specifically about Towers’ performance as GM, right? Wil Myers was brought in “to help provide leadership and chemistry?” That’s funny. I was under the impression he was a young, not-very-established (especially for a former ROY winner) player with injury history and exciting tools who had already been traded once. That said, it’s kind of apples and oranges comparison, especially when you narrow things to the first 3/4 years-on-the-job window. Comparing then to now, significant aspects of SDP and MLB revenues were quite different; revenue sharing and Fox Sports $$ were just twinkles in the eyes of Moores, Lucchino, Selig et al; SDP ownership lacked the ability and/or interest to make any meaningful investments in the international talent market, or to pursue high-ticket draftees; ownership’s investment in and support of its scouting department appears to have been lacking, although I’m unfamiliar with the details; and ownership demonstrated a consistent aversion to major league free agent contracts of any significant annual value or length. So, it’s not unfair to say that Towers never had the resources at his disposal that Preller has enjoyed in his tenure so far. 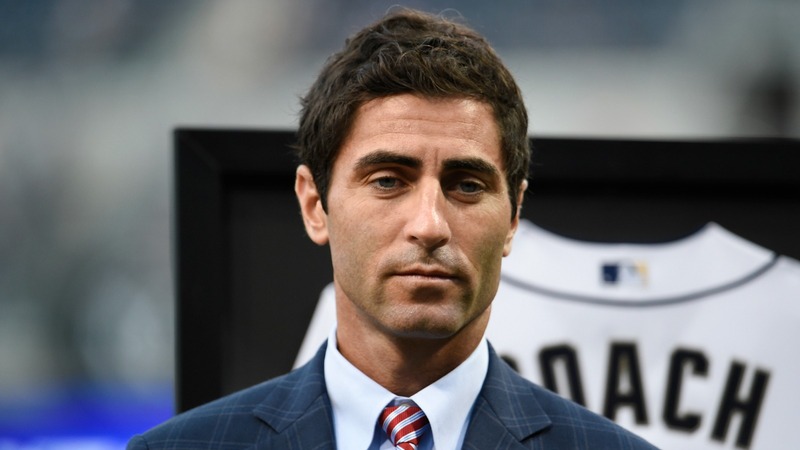 Preller’s record of major league talent acquisition and roster management is pretty bad. By contrast, his record of acquiring minor league talent is sterling, especially based on the early returns of his drafts from 2016 on. Why the discrepancy? Maybe (gasp!) it’s on purpose? You are absolutely right. Randy Smith did bring in Finley, Caminiti, Ashby, and Hoffman. I try very, very hard to be accurate as well as fair and am appalled at myself for screwing up. However, to accuse me of doing so deliberately is unfair. I will redouble my efforts to provide accurate information. However, I will not be stifled from expressing my opinion on Padres’ baseball. Sorry for the lack of clarity. My “on purpose” speculation is in reference to the discrepancy between the Preller FO’s gleaming record of success at minor league talent acquisition, and its disastrous results where major league roster construction is concerned. You think they deliberately added poor ML talent? Please explain. It is just speculation at this point. What’s more clear is that the Padres organization has demonstrated operational incompetence in multiple areas over the course of decades. Drafting and player development were a total disaster for basically all of the Moores era. Activity in the international market was nonexistent before the mid ’00s and has mediocre overall success since then. Since a year or two into the Petco Park era, Marketing and PR operations have been notoriously lackluster, often clumsy, sometimes tone-deaf, and occasionally controversial. To compound this, they lag far behind various other pro sports franchises, including their most direct competitor the Dodgers, in regional outreach and media/online exposure, particularly in Mexico. Coincidentally or not, the franchise’s most tangible aspect – the major league team – has performed poorly for the vast majority of its 50 year history. Presumably, the franchise has enjoyed consistent profits for at least the last 20 years or so of that time. What, then, is the incentive to do anything differently? To be honest, Myers was brought in for that reason, it was just a mismanaged idea. And no, that’s not the writer’s fault. I assume Myers was traded for because there was belief in the Padres FO that he would be a star. Kemp, Upton, Kimbrel and Shields were considerably more established as major leaguers when they were all acquired that ’14-’15 offseason. It’s much more apparent that Hosmer and Galvis were acquired for chemistry/leadership purposes, as Diane says. In reality KT was involved with the draft only and Larry Lucchino was against the Houston trade and luckily, for the fan of San Diego, finally caved in and OK’d the trade. He was also against Randy hiring Bruce Bochy and is ultimately what drove Randy out of San Diego. And who got the credit for both of those huge decisions that got the Padres to the top of the west in 96 and to the the World series in 98? It was again Kevin Towers and Larry Lucchino. Over the years it’s been incredible to see how many different people were given credit for that trade. Even a scout who worked for the Houston Astros was given credit. Now that is a head scratcher. Where would Larry be if he hadn’t come to his senses and OK’d the trade and to hire Bruce as the Padres manager? Makes you wonder doesn’t it. I’ve never once heard Larry give Randy an ounce of credit for both of those Franchise changing moves. Tells you what kind of guy he is. Sorry I’m not gona join the Preller bashing. It’s no secret from the other articles you have penned where you stand on AJ and the current front office. This article certainly fits that mold. One guy had 15 yrs here and the other hasn’t finished his fourth. Not really a level playing field. There had to be a reason you chose to focus on players acquisition vs say draft history or looking at the whole of all parts of the job and objectively analyzing the first 3 years for each guy. I will make my point by taking your lead and just pulled a quick search of each guys first three drafts. In light of full disclosure I didn’t start AJs first year until post 2015 draft since the Dee navigated front office made much different choices than the Post Dee front office. See what I did there, I shaped the argument to favor my preconceived outcome prior to presenting the arguement. In the nature of trying to keep things equal I will give Towers a “Dee” and pass his first year getting his feet wet even though he did take Vernon Wells in the second round that year. The method was to look at the first 6 selections of each year. They each had a year where the first rd had 3 picks; Towers in 99 and Preller in 2016. Looked up each name in Baseball Reference. The three others had 37 games,29 games and 9 games. Nick Margeviscius pitching debut for the Missions season in AA playoffs outdueling the 2017 1st rd draft choice of the Astros just over a year from being drafted. Owen Miller playing SS in AA while not even completing his first full season of pro ball. Is there any questions who has the better three years when only focusing on the draft? Look I love KT and you have to take the good with the bad if you want your analysis to be objective. I also am not blind to AJ and crew have made some head scratching decisions and things I probably would have done different but that doesn’t mean I think more front office turnover is what’s needed. You have to stay the course as long as there is progress towards addressing the talent level. I will agree this season was a painful one but anyone who expected more than a shot a .500 was kidding themselves. Yes injuries happen to them all but there is one starting pitcher still pitching that was in the opening day rotation. The starting C, LF, CF, and DFL MVP all were injured . The logjams at 2B, 3B, and OF still remain with no closer to seeing them resolved. There has to be more to the story than what has been said publically. Especially when we all know Ron Fowler’s impulses (or lack there of) are on par with our President. I have talked to Peter Seidler myself. They want this group to continue so who am I to question what they know that I don’t. Love it or hate it the wagon is hitched to these horses and to pull the plug now will only reboot the whole process for a fifth time in less than two decades.. no thanks. Nothing but truth in Alan’s response. I basically wanted to write the exact same thing. You’re taking the best team in the history of our franchise, at their peak, and comparing them to a near 100 loss team. A lot of cherry-picking and incomplete statistical pictures. Comparing the best player on the best team in our franchise (2nd in war, but best everyday player) and his WAR vs this team… If you compare him to his own World Series team no one comes close, as he has almost double the WAR of the next position player. Normally, I can read through these and see an attempt at objectivity, but not this one. Diane says at the top that Preller has been good at drafting and Towers wasn’t. Her point was that Preller has been bad at acquiring more veteran talent, and of course that seems undisputable. His signature moves are the Myers extension and the Hosmer FA signing. At first glance this seems unlikely to be the work of a GM who can take the team to the next level. We might all be very happy in 2 or 3 years but right now it’s a long way from good AA and AAA rosters to a good ML team. (https://www.fangraphs.com/warleaders.aspx?season=2018&team=29&type=). Based on 2018 production and the remaining cost due, the Hosmer contract might the worst in all of baseball. Let’s hope he follows his usual odd year/even year pattern and puts up solid numbers in 2019. Preller bashing? Really? I may not be a Preller groupie, but I’m not a hater either. We went to all the home games in the playoffs in 1998, and I passionately want this franchise to succeed. The entire area came alive, and it was a fabulous experience. If you have read other articles, you should know that I repeatedly have reported on our highly ranked minor league system under Preller. However, the draft is called a crapshoot for a reason. As they say, the jury is out. Although your method is commendable, it has absolutely nothing to do with what I actually wrote. And, by the way, I never suggested a reboot. Hehe it’s amazing that many fans can’t drink the kool-aid and describe the flavor too. Our team has a lot of holes and even more hopes. True, we’ve never been in this position with the farm system, that is a credit to Preller. It’s also true that we are seeing a mass of trouble of getting this talent to stick at the major league level. I hope it’s different for the guys coming up but we’re seeing every player on this offense devolve (except Renfroe lately). Preller does need to take a page out of KT’s book and learn how to acquire coaching and established players who actually contribute. This part is not looking pretty and will effect this team going forward. PS, I do not hate the Padres, I just happen to be able to think for myself. Let’s go Padres fans, analysis and opinion is good, don’t be a robot. This team is stinking it up and needs a lot of help. Sad thing is, we could be looking at the same situation in 3-4 years and people will still be calling that “hate”. It’s not hate, it’s just understanding the game. 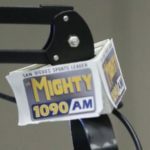 And I know Jerry Coleman, we still talk…. Uh yeah….if you actually talked to Peter Seidler, you’d know how transparently obvious the goal of this organization is. And I happen to know Ron Fowler distantly, which is the only way to know Ron Fowler. The guy is a rotten human being who only deals in numbers. He’s far more concerned with getting advertising placed on the ballpark’s outside walls than he is with your team. Oh, I also hung out with Junior Seau years ago and I saw Bob Vila at a car show in Corona…… wow dude. Good job. Even more troubling than the signings of Myers and Hosmer, is Preller’s own extension. Are they unaware of what is happening? Or do they simply not care? Excellent article by Diane! Let’s be brutally honest about Preller, he might be a terrific scout but as a GM, he is not even close to being good. This season has been one of the most frustrating seasons to be a Padres fan. Except for a certain young outfielder who came in a trade, no one gets to be comfortable and feel secure. Meaning, no matter how well a player has performed one day, he is sure to be back on the bench tomorrow. The constant “merry go round” and player auditions have worn me out. Most of us know by now “who” should be on the team in 2019 and what role(s) they should play. Yet we continue to hear about “this guy and that guy.” As for Fowler and Seidler – if they choose to keep Preller, (I’d let him go for an assortment of reasons) they need to tell him “enough is enough. ” We have the players, now let’s build a winning pitching staff. For instance: Hedges is the #1 catcher. Period! Trade Mejia or make him learn a new position. We’re stuck with Myers – NO WAY he gets traded. And this is all on Preller! Since Myers is now in SD, he has to be given time to learn how to play third. Same with Hosmer, he is not going anywhere. OUR outfield: Renfroe sticks and starts in LF. Please tell him and be done with it! For CF, Jankowski has outperformed Margot all season long. And stop telling us about Margot’s “upside,” Travis is better in so many ways! And while I’m sorry that Cordero is hurt, Reyes has earned the right to be in RF. Timing is everything! What about SS and 2B? Because I want to have a winning season in ’19, I’d try and resign Galvis. I’d also be NOT so fast about handing 2B to Urias. I want Spangenberg to be on the team in case the kid struggles. But back to Preller, he makes me dizzy. WHO else can we hire as a winning GM? I agree with much of what you wrote, but the task right now is precisely the roster churning that upsets you. It’s to see which of these players will be part of the next playoff team. I like what we’ve seen from Reyes and Renfroe over the last 2 months, but a player does not earn a position due to 2 hot months. Cordero is far more athletic than either, has a higher ceiling, and is all of 23. Generally teams do better by going with higher ceiling players. Same thing at 2b. 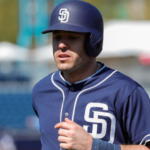 Pirella, Asuaje, and Spangenberg have all had their chances. Urias has a much higher ceiling than they do, so he will be given a shot. One of the others will be kept, one sent to AAA, and one cut or traded. The two biggest mistakes a rebuilding team can make are to give away big money to so-what players (oops!) and to block potentially good players with mediocre ones. So the club will give Margot some more rope, keep Jankowski as 4th OF, go with Reyes and Cordero as corner OFs and trade Renfroe while his value might be higher.